Malaga is blessed with wonderful beaches and mountains. It also boasts an abundance of natural spaces, parks and gardens. One such garden is the strikingly beautiful Jardín Botánico de la Concepción - the botanical and historical garden. A spectacular tropical forest situated within 49 hectares of land, of which, 23 hectares are botanical garden open to the public. An oasis of calm and tranquility, that is situated only 5kms from Malaga's city centre. 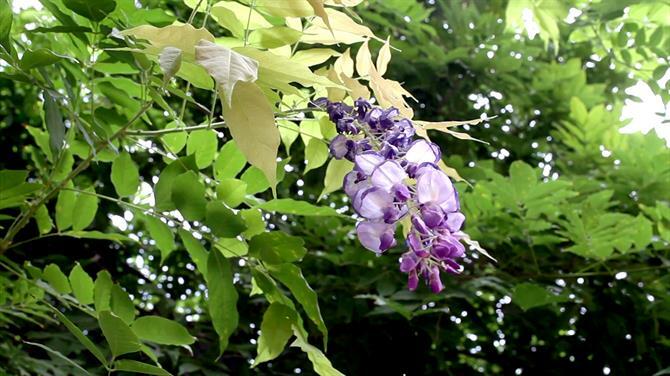 The park boasts a magnificent array of plants and trees collected from all over the world. The Jardines de la Concepcion were officially recognised as a “garden of historical-artistic importance” in 1943. The gardens offer one of the most comprehensive and complete palm collections in the world. A notoriously difficult tree to grow outdoors in Europe. 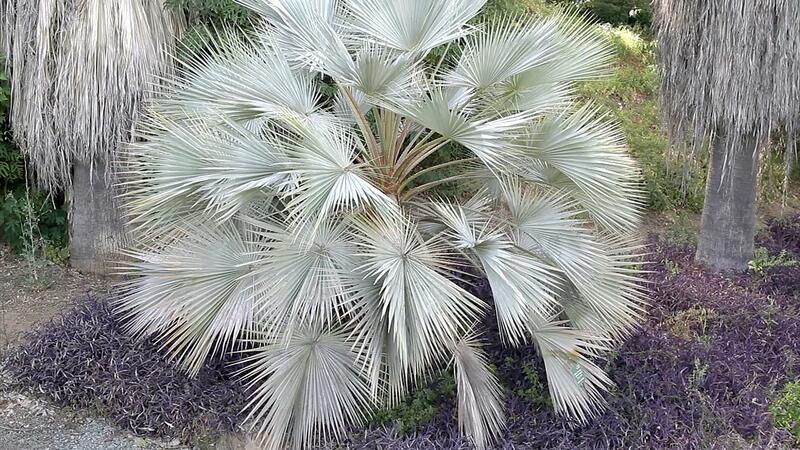 There are now over 500 palm trees, divided into 95 different species. Two of the highlights are the Chilean palms, one of which, is the largest example found in Spain and a palm tree from Mexico that is over a hundred years old and known for its particularly beautiful blue hues. The gardens are extensive, so any visit should be carefully planned beforehand. To see the whole garden can take anything up to six hours. There are various thematic tours ranging from between one and two hours that help visitors see the highlights. 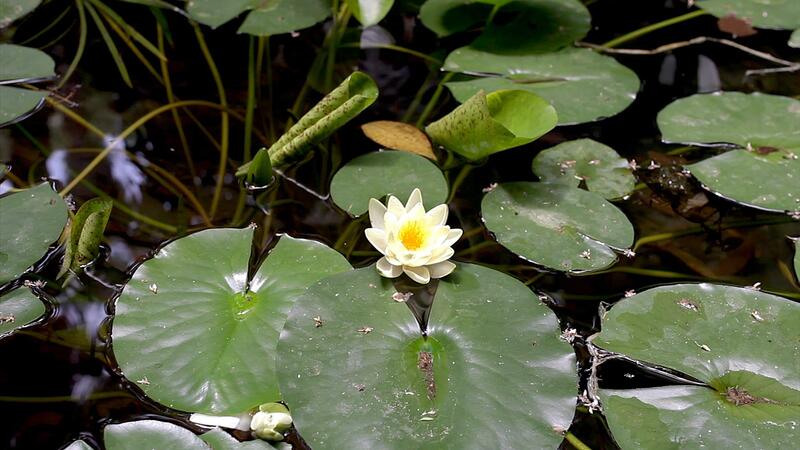 Before visiting the gardens, its a good idea to plan your visit beforehand, based on the different itineraries offered. 'Themed gardens route' (2 hours): which takes in the palm trees, bamboo forests, aquatic plants, Malaga's vines and the African plant species. 'Around the world in 80 trees route' (1 hour): includes various plants and trees from five continents. 'Viewpoint route' (less than 1 hour): subtropical flora and native plants, combined with breaks at different viewpoints overlooking the city. 'Forest route' (1 hour): passing through indigenous flora and offers spectacular views of the "Montes de Malaga" Natural Park. Malaga's privileged climate means a visit to the botanical gardens is a joy whatever time of year. Springtime, however, is an exceptionally beautiful time of year with the Chinese Wisteria flowering. The purple flowers providing a spectacle not be missed. There are a superb variety of plants, such as the lotus and orchid species, which are both enchanting and unique. The gardens are also home to Spain's largest collection of insectivorous plants. 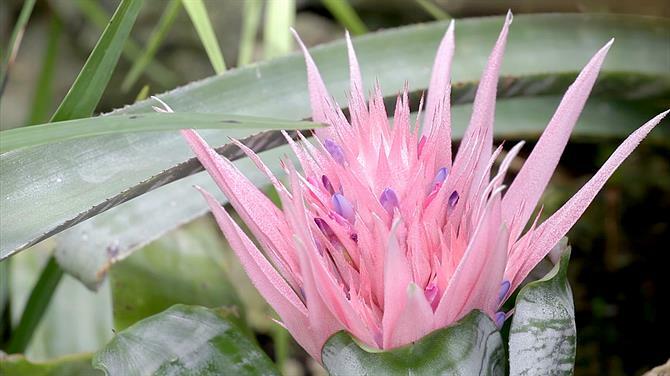 With over fifty species coexisting in their own special habitat.La Concepción botanical garden is now a national benchmark for this type of plant. The plan to create the gardens was hatched during their honeymoon. Having visited some of Europe's finest gardens, they began to ship in some the best examples of flora from all over Europe. Using their substantial economic means and contacts, they began looking further afield to the Americas, Asia and Africa. Eventually building one of the finest collections of flora in southern Europe. Throughout the nineteenth century, the Concepción was a meeting place for illustrious personalities of the time. 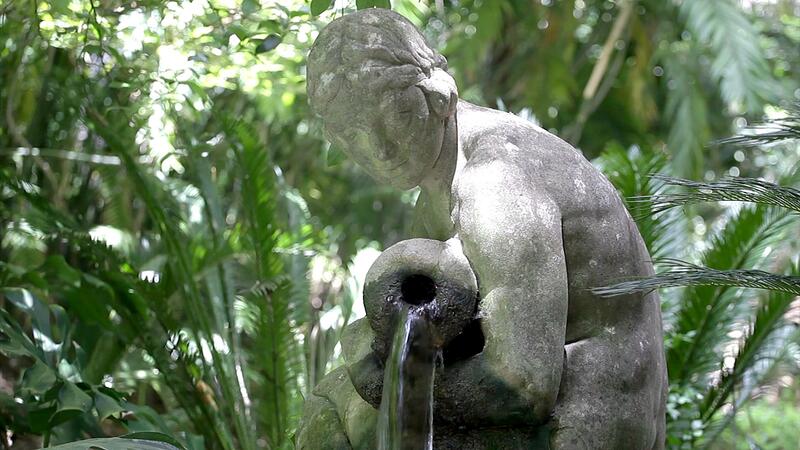 Politicians, artists, aristocrats and Malaga's bourgeois all frequented these gardens. The Echevarria-Echevarrieta family bought the finca in 1911 and further extended the gardens to their current size. In 1990, it ceased to be private property and was passed into the hands of Málaga Town Council. After being designated an Artistic and Historical Garden in 1943, its name was changed to the Botanical and Historical Garden. Despite the increasing international acclaim, the garden was only opened up to the public, on 20 June 1994. Some of the history and anecdotes are particularly interesting and offer added value to the gardens. None more so, than the legend of the fountain of the nymph, considered to be the Soul of the Garden, and is said to have protected and maintained the gardens in times of trouble. The gardens are open during the summer evenings allowing visitors to appreciate the charms of the plants under moon light. A particularly beautiful time of year, the nocturnal visits are also characterised by the presence of an actress playing Amalia Heredia (Marchioness of Loring) who accompanies the tours, while explaining her life story. A popular and highly recommended tour. The botanical garden is situated on the Camino del Jardín Botánico 3, tel: +34 952-25-21-48 map - the turning is just off the motorway that runs north of Malaga, going towards Antequera/Granada. There is a bus service that leaves from the Alameda Principal in central Malaga (Ciudad Jardin line). Opens 9:30 and closes: 20:30 from 1st of April to the 30th of September (nocturnal visits run later), 17:30 from 1st of October to the 31st of March. The gardens are shut an hour and a half after the official closing time. For some great holiday accommodation in and around Malaga's city centre and be sure to check out our last minute holiday rental deals in Malaga. For additional information, reviews and video on Malaga. Fancy an all-over, full-body, golden tan? Get your kit off and feel the sea breeze and the warm sun on your skin on one of Malaga´s nudist beaches! Ronda is one of Spain's most beautiful cities, this is what you have to see when visiting it. Ronda in full HD video. No two Canary Islands are the same, it helps to know what the differences are before choosing which Canary Island is best for you. Not sure which town on the Costa Brava to choose for your holiday? Or which beautiful villages you should plan to visit? Here's our list to help you! Nerja is one of the most visited destinations on the Costa del Sol. Here's an insider's guide on the best things to do and see while there. Alicante is a paradise for holiday makers. Read our guide to discover the best destinations for family holidays, beach breaks, rural escapes, sports..
Spain is the ideal destination for a holiday in May. With pleasant temperatures and cultural celebrations, choose from a city break to a rural escape. Catalonia is a region with picture-perfect beaches, high rising mountains and an interesting culture. Discover the best places to stay in Catalonia.